BioStar 2 was created with fundamental conceptual changes to overcome the systematic limitation in BioStar 1.x and to provide consistent performance. So, it's important to know the changes and differences precisely and design a system that can make full use of each feature. With BioStar 1.x, there are functional differences according to direct mode or server mode. In order to use a realtime log update and device auto reconnection, it is necessary to use server mode, not direct mode. So, first time users often get confused with the connection mode and may have a chance to make a mistake. With BioStar 2, there is no functional difference between server mode and direct mode, and only has a direction difference. So, users can choose a device connection between Device → Server and Server → Device. 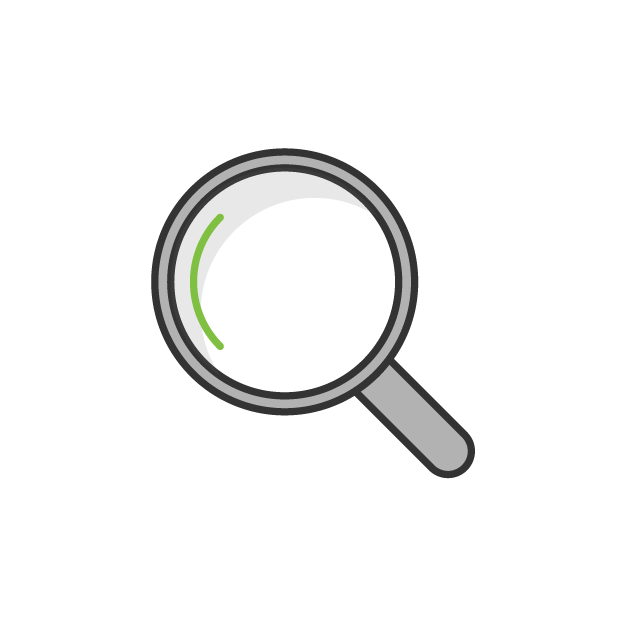 So, users can make a device to find a server and try to make a connection, or can search and establish the device connection from the server. The default mode is Server → Device. *In order to prevent any device IP change attempts, it's necessary and recommended to use Device → Server direction mode. With BioStar 1.x, both Master and slave devices have user data and make an authentication decision. This structure was found to cause slow user data update and transfer speed between the devices connected through RS485 serial communication. So, Users often have to need to wait for an extended time to transfer the large number of user data to all the connected devices. In order to breakthrough this inconvenience and provide more consistent fast performance, BioStar 2 is designed to use slave devices as dummy reader only, which means slave devices do not have user data and make a matching, but only to send input credential data to its master device. With this change, one master device becomes able to support up to 31 slave devices, and can be used with up to eight fingerprint devices. BioStar 2 supports 'Access Level' for more easier combination settings as a group of door-plus-timezone. With this layer, users can be more simply managed and allocated to access groups, and more number of combinations can be made to use full system spec. 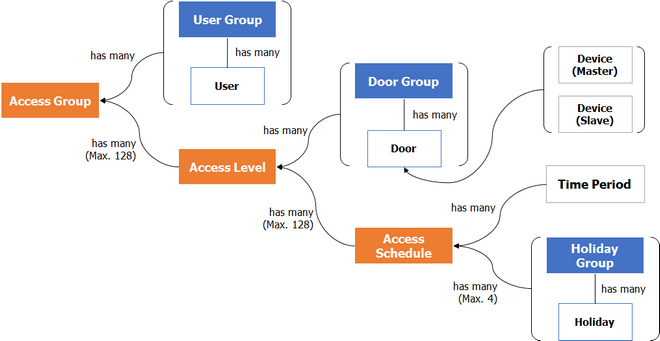 One user can be assigned up to 16 access groups, and the number of door limitation for one access group is lifted with the advantage of access level. By creating a certain access group with VIP or management members, it can be easy to set the access group to be 'Bypass Group' for zones, such as APB and Scheduled Lock. So, the access group members can enter and exit doors without limitation.